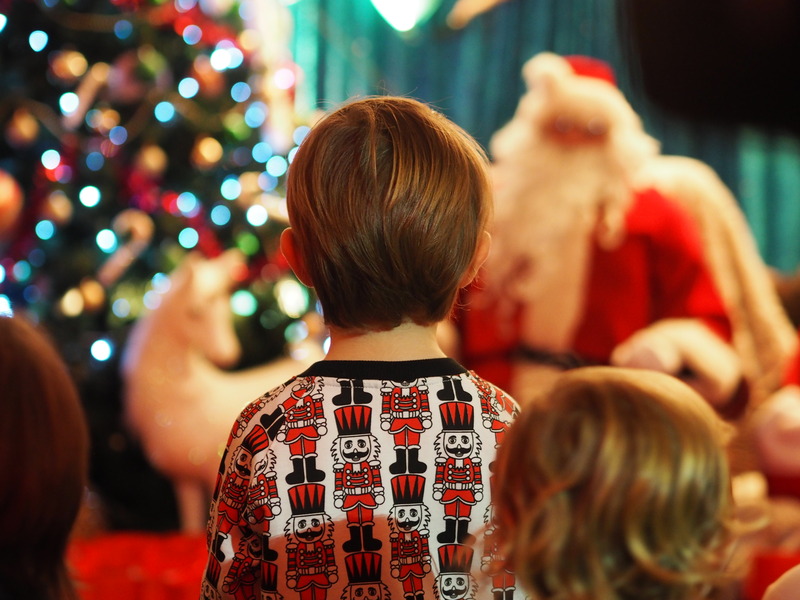 For the past few years, we’ve had a festive day out to see Santa at the start of December. It’s around the same time we put our tree up, and gets us in the Christmas mood. 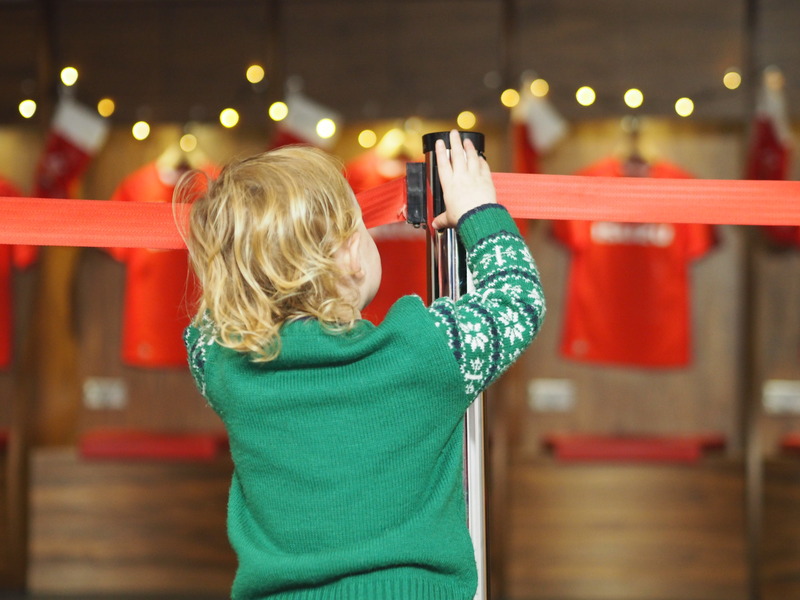 This year we were invited to meet Father Christmas at the Principality Stadium – the home of Welsh rugby – and I couldn’t pass on something so different. 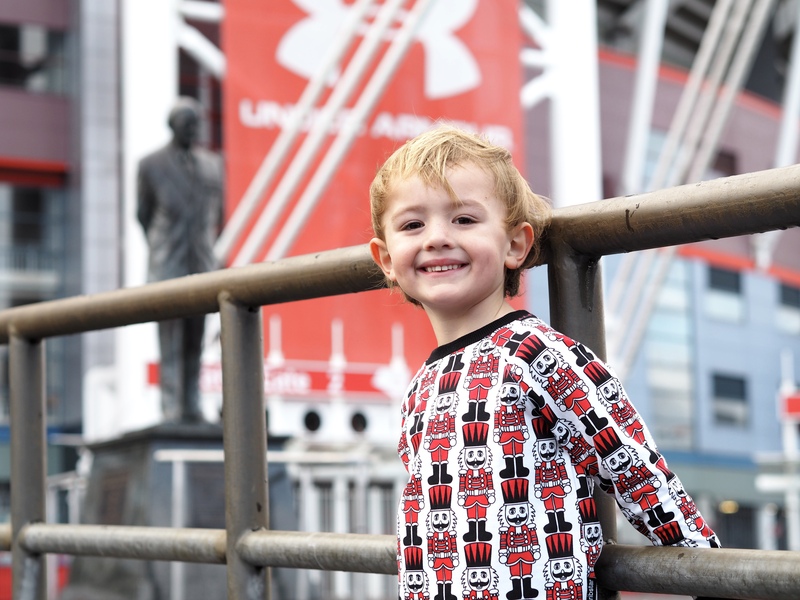 Whenever we drive to Cardiff, the boys always point out the stadium as we come around the bay, and we went there over the summer to see Monster Jam. Being able to go on a tour, to see where the Wales players get ready and run onto the pitch, as well as to meet Santa was something I thought they’d love. 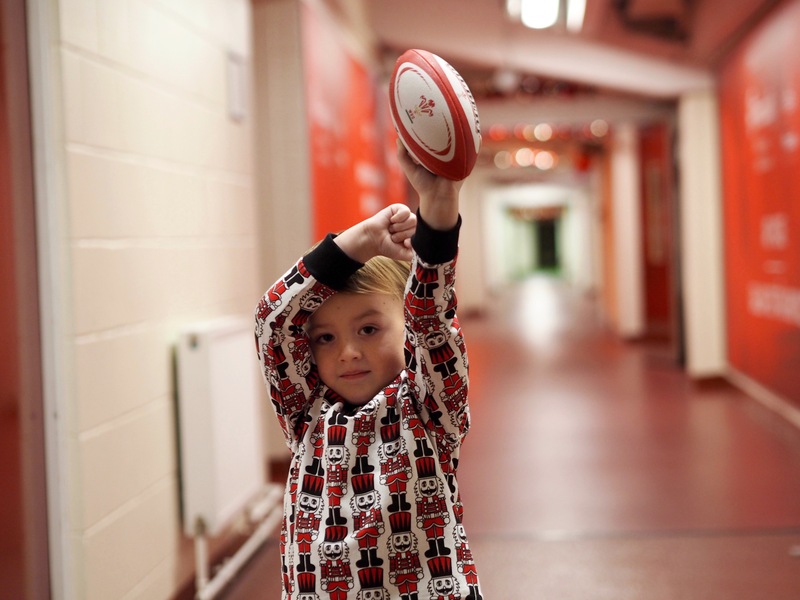 The tour started at the WRU shop, where we were met by two members of staff, who explained that Father Christmas had set up his grotto at the stadium, which he would use as a base on Christmas Eve. But … Santa’s sleigh couldn’t take off because some cheeky elves had hidden all the reindeer’s carrots so they were unable to fly. It was our mission to follow the clues, collect the carrots and find our way to Father Christmas. We headed out to the international players’ entrance, where we were told the Wales players enter the ground on match days. 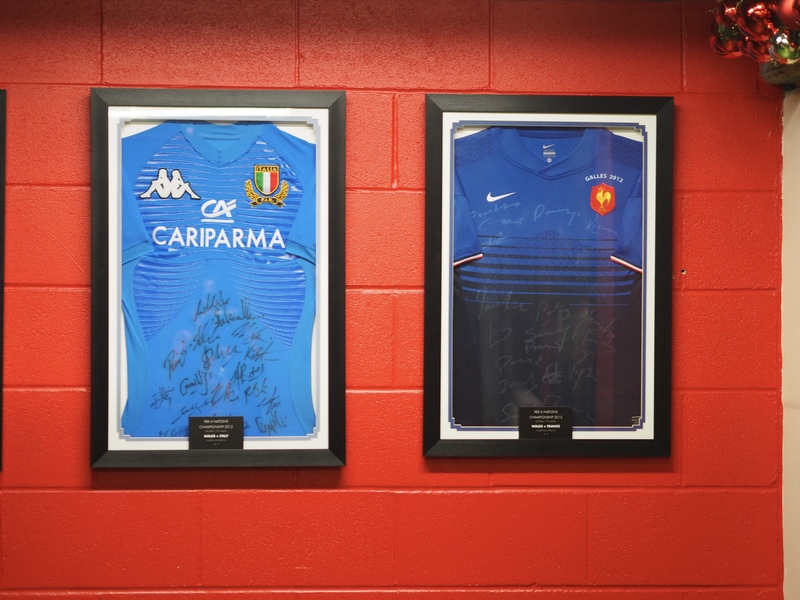 We were taken down corridors lined with photos of rugby greats, and into the press room, which I couldn’t pass on the chance to take some photos, being a former reporter. There was one member of staff leading the group, and one at the end, who our eldest son kept entertained with questions about goblins and why they had stolen the carrots. The clues were easy enough for little ones to understand, and the staff made sure each child had a turn at holding the sack so nobody was left out. Once they had found a carrot, children were ‘on the bench’ so someone else could find the next one. I liked the fairness of this, as sometimes children can miss out. From the press room, we were taken to the changing rooms, where there were jerseys hung up alongside WRU Christmas stockings and fairy lights to give a festive feel.Although we couldn’t go through the players’ tunnel, which would have been fab, we did sneak a peek at the pitch through the doors, and again on our way out. The last clue led us to the grotto where Father Christmas was waiting. 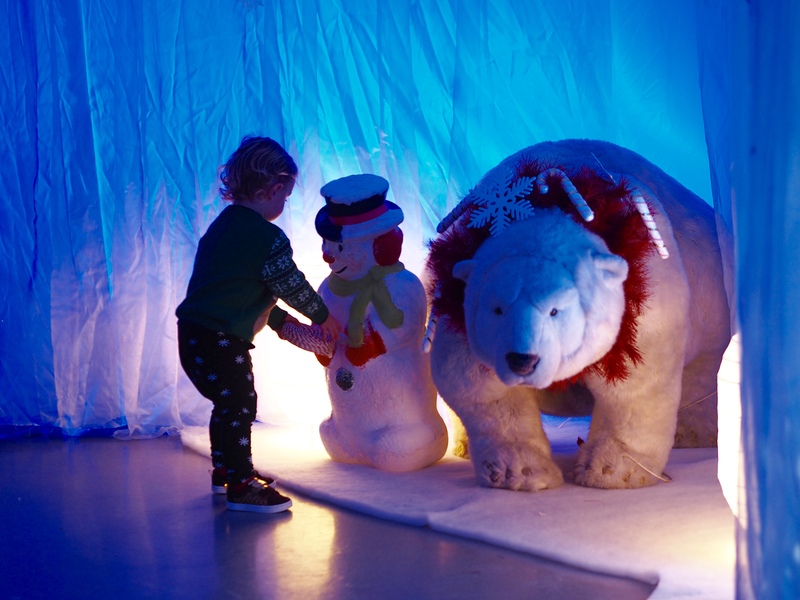 There was a mini winter wonderland at the entrance, with lights, polar bears and penguins, but sadly Father Christmas had already started talking to the children by the time we got in as we had stopped for a couple of photos. There were a few points where a bit more time to look around or take some photos would have been nice, as a stadium tour is something you’d like to be able to look back on. Santa was very good with the children, asking if they had their trees up, and what they would be leaving out for him. All the children joined in, shouting out their answers, before going up one by one to meet him. 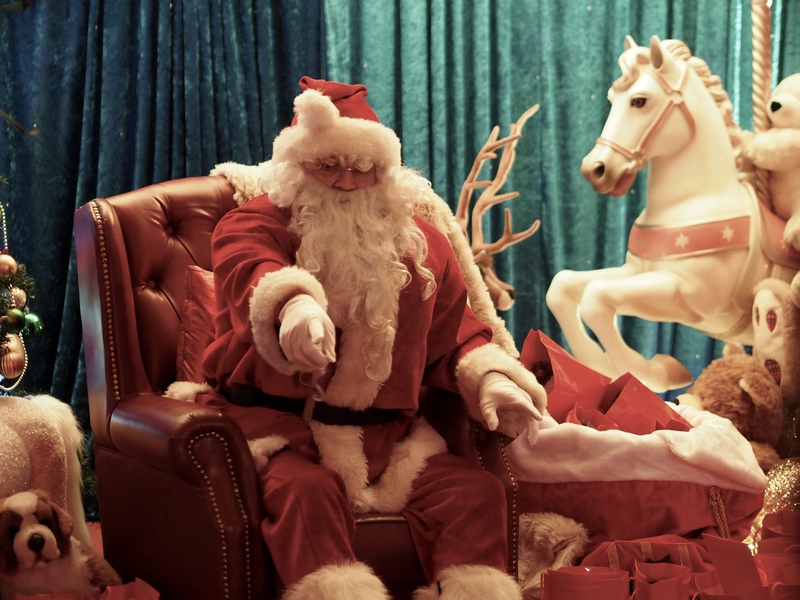 He was sat in a big chair, next to a Christmas tree and surrounded by bags of presents. It was a really lovely setting, but again, I’d have liked just a few minutes more to take some photos. It was quite crowded, and difficult to get through all the parents in time with the camera. I didn’t actually get a photo of my two boys with him, which was disappointing. 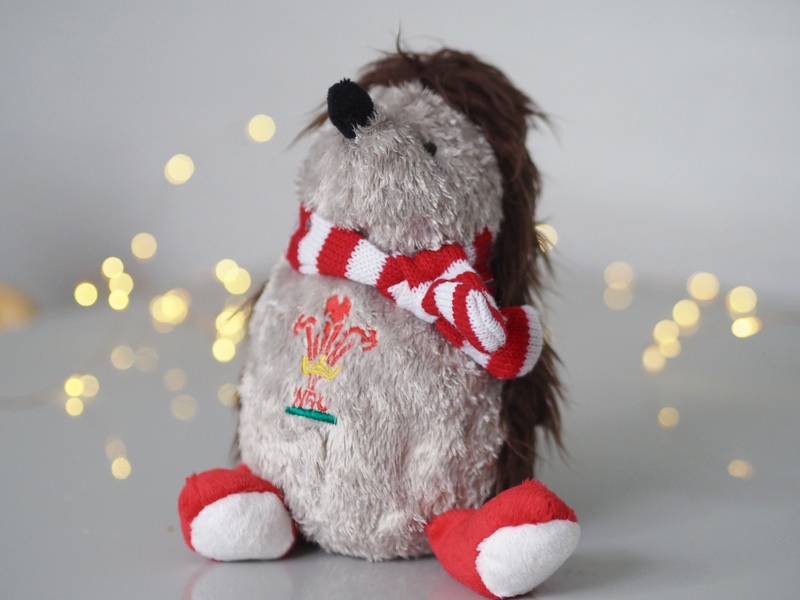 Each child had a choice of two gifts – a mini WRU rugby ball or a WRU hedgehog. Our boys chose one of each, and I was really impressed with them. I’m not sure what the significance of the hedgehog is, but he’s super cute, and the ball is really good quality. From there, we were led back out of the stadium. The tour lasted about half an hour, which I have to be honest was a bit short for the cost. As I’ve said, some more time in each area would be appreciated, or a smaller group (there were about 40 in ours) so it would feel less crowded. That is from a parent’s point of view, and if you asked our boys (aged two and four) they would say they had a fab time. 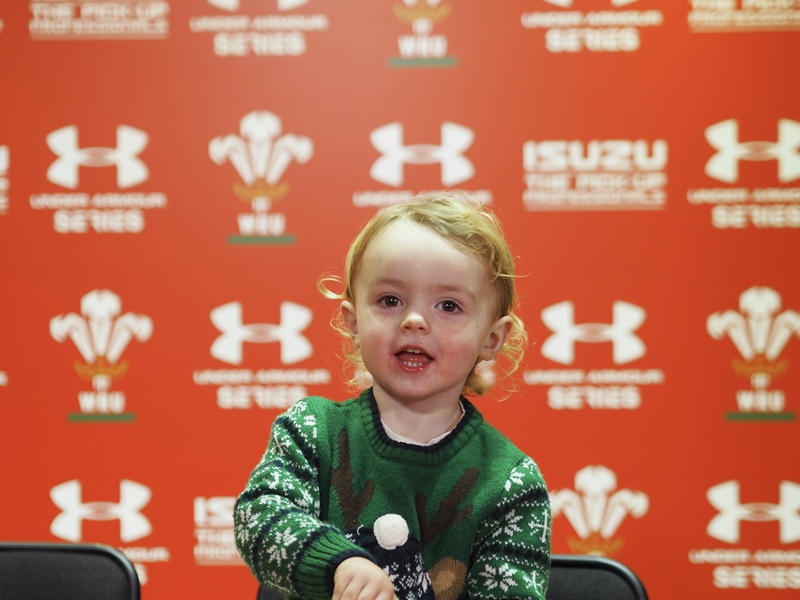 I think the tour would be really well suited to rugby fans, of course, or families with mixed ages of children where younger ones would want to meet Santa and older siblings would enjoy the tour. 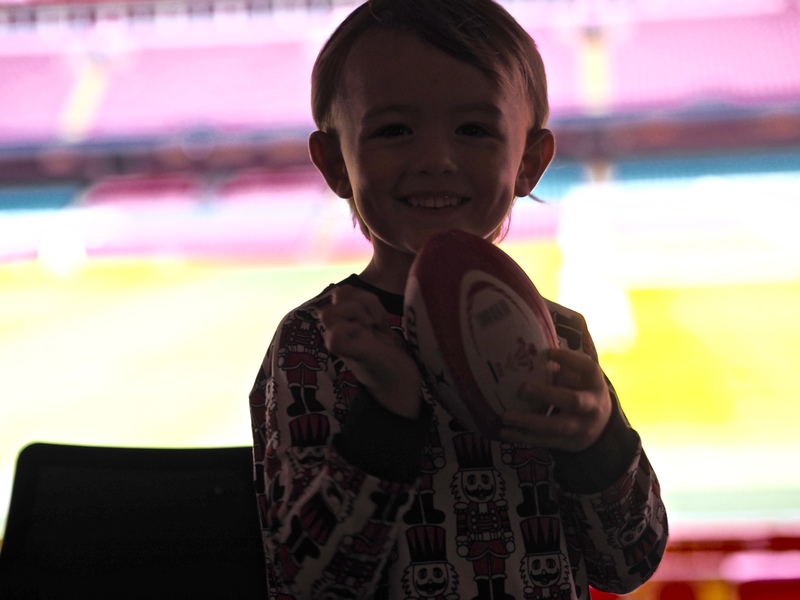 Meeting Father Christmas at the Principality Stadium was definitely a unique experience, and not one we’ll forget!